DIRECT FROM LAS VEGAS!!! Are you looking for something new, fresh, and exciting? Well, then look no further! 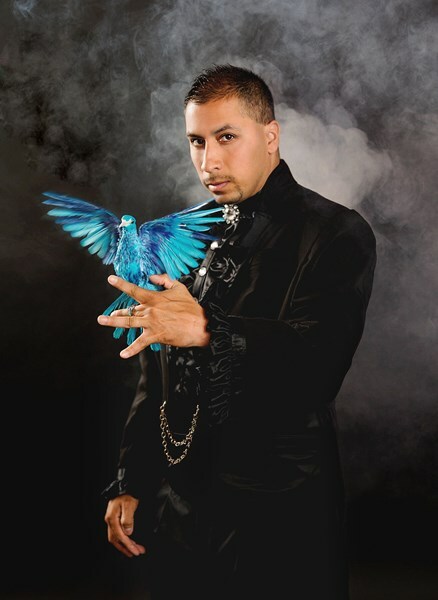 Iowa's premier magician David Casas has been entertaining audiences for over 20 years with his award winning magic. 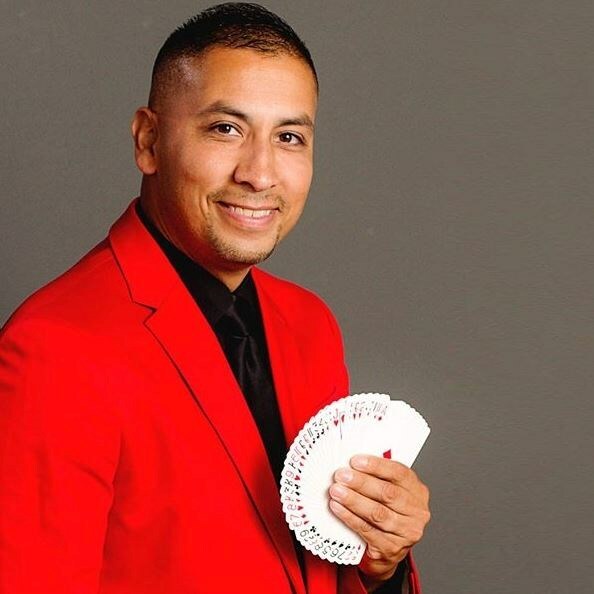 From Chicago, to Las Vegas, David's unique and cutting edge style of magic, has made him one of the most highly sought after entertainers in the Midwest! He has been featured on television and radio. David is more than a magician, he is an entertainer. His show has been described as "a little slice of Las Vegas, right here in the Midwest!" No venue or event is too big, or too small. David's high energy performances feature mind-blowing magic, hilarious family friendly comedy, and plenty of audience interaction. 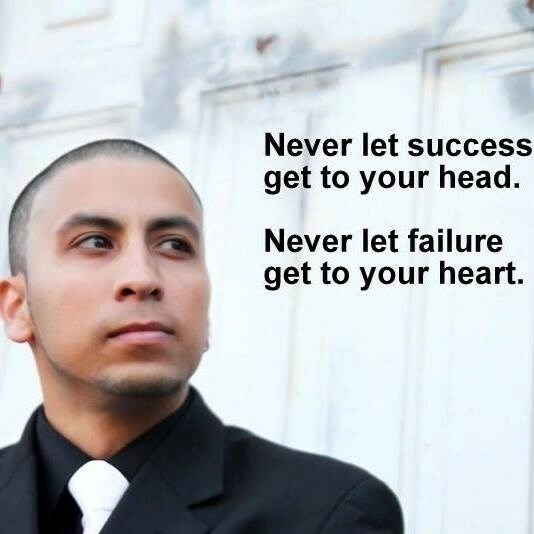 David Casas specializes in corporate events, company holiday parties, after proms, banquets, weddings, festivals, fairs, colleges, universities, and comedy clubs. Professional, high-caliber, and entertainment like no other, get ready to experience a truly one of a kind must see show! "David performs his outstanding magic shows for a variety of our special events. His level of professionalism and enthusiasm is unsurpassed! David is one of the BEST entertainers in the Midwest!" "David's performance was terrific! I highly recommend David to any university or college looking for professionalism and family friendly entertainment." "Talented, professional, and entertaining! David Casas is a hit with wide audience appeal. We have hired him many times and recommend him to our clients as well." "The Magic of David Casas was well received by our attendees and a highlight of the Eve Fest celebrations! His show was exciting and fun! He was a delight to work with!" "David, thank you so much for your "magical" entertainment for our Christmas party. My employees loved your show! I personally enjoyed how you made them a part of your show. Good, clean entertainment, is sometimes hard to find, but your show was exactly that! Thanks again for a wonderful comedic magic show." Communication before the show was great. David was professional. He had great positive attitude. His magic is fantastic! Thank you for sharing your talents with us. The kids are still talking about it. We wanted to try something different at this year’s company Christmas party. I will be the first to admit I was a little skeptical about having a magician at our event. David placed all doubts to rest when he started to perform his “strolling magic.” His close up magic left the employees wide eyed and jaws dropped! He continued this interaction with audience participation during the stage performance. He is more than just magician, he’s true entertainer! We would definitely recommend David for your next event. Please note David Casas - Iowa's Premier Magician will also travel to Cicero, Berwyn, Oak Park, Forest Park, Hines, Lyons, Riverside, Brookfield, Maywood, River Forest, Summit Argo, Carol Stream, La Grange Park, Bellwood, Bedford Park, Melrose Park, Westchester, Burbank, Bridgeview, Hillside, Hinsdale, Hometown, La Grange, River Grove, Stone Park, Western Springs, Berkeley, Franklin Park, Justice, Norridge.